Turmeric is a spice which seems to be everywhere in the media at the moment. When ingested it is said to have powerful medicinal benefits so it's no surprise that cosmetic companies have started to incorporate it into skin care. Tumeric is especially awesome for an oily/combination skin. It helps to regulate sebum production whist being anti bacterial and antiseptic, also great for a problematic skin as it is anti-inflammatory. The warming spice stimulates the circulation helping to speed up cell renewal. Doesn't this all sound fabulous? 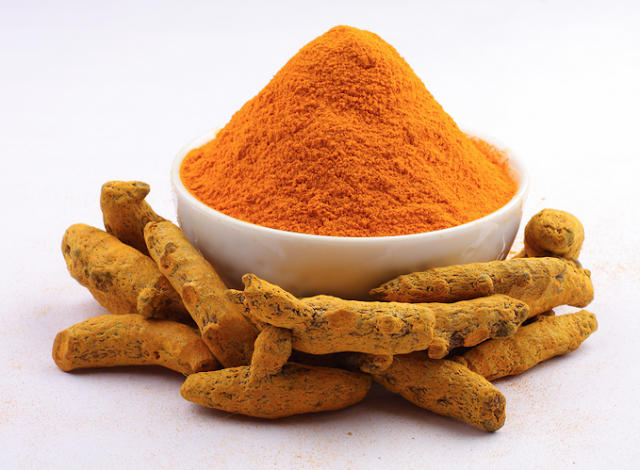 Kiehls have jumped on-board with the Tumeric trend and added it to their latest mask along with Cranberry seed to exfoliate. It's a really thick, rich creamy mask infused with fine Cranberry seeds which give it a slightly gritty, abrasive texture. Applies in a thick gloopy texture and sets to a dry, matte finish. After a few minutes it begins to feel warm on the skin, not tingling, but just a very subtle warmth. If your skin is sensitive or very dry then this may be a little too stimulating but if your skin is "normal", combination or oliy then it's a winner. Leave for 5-10 minutes and then rinse off with warm water. Skin feels ridiculously soft and glowing. I had a few blemishes which were a little red where I had over picked, they felt soothed and the redness had been reduced from them. It didn't cause any further breakouts and I can still tell that I have used a treatment on my skin a few days after use. A lovely mask to use on a rubbish skin day or when your skin just needs a massive kick up the arse. We are having a bit of a 90's revival at the moment. 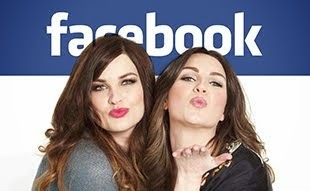 We even used the classic 90's lipstick from Rimmel, Heather Shimmer in this weeks tutorial! This palette from glo-minerals just arrived in the post and it combines a beautiful blend of warming Summer and ashy toned browns. Slimline black patent palette with large mirrored lid which holds 8 smallish pans of powder eye shadow. The pigment pay-off from these shades is great and they blend smoothly and evenly over the lid. They have a mix of matte and soft shimmer finish and build up well for a deeper darker eye look. 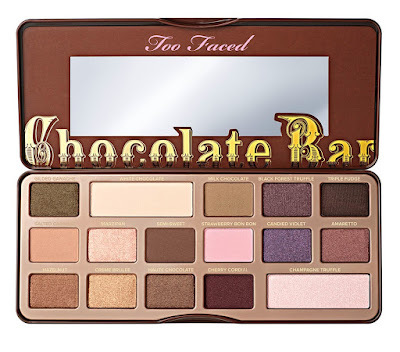 This palette is perfect for those people who struggle to create a seamless blend with their eye shadow application. You have some neutral base colours to even the lid colour, some perfect mid toned socket colours and a selection of smokey shades to jazz the eyes up for the evening. The black is intense and a real jet black which means it's great to use as a liner at the lash roots. There are tones for all eye colours and they will work for literally all skin tones. Our only criticism would be that the powders are a little crumbly. As you sweep your brush over the pan the powder breaks up a little and it does drop. Using a flatter, firmer brush works best at preventing this. A really great palette for the Summer and beyond and the slimline case saves space during travelling. The Elemental palette is £34.00 and available here. You requested, we delivered! Check out our Gigi inspired tutorial..
Hurrah it's now officially Spring here in the UK. I feel like winter has been especially long this year but with daylight savings kicking in this weekend we can all celebrate the longer evenings and hopefully warmer weather. As we emerge out of the winter our skin and makeup could do with a bit of a pick-me-up. Here are some key products we are using to help with the transition. This skin tone corrector provides a very sheer cover with a glowing finish. Available in three tones of light, medium and deep it will softly tone down blemish marks and pigmentation. Don't expect a good cover as it will only gently soften the skin tone. You can use it under your regular foundation if you require a fuller cover. We wear this all the time. It's lightweight but buildable, it looks like natural skin and won't feel heavy when the weather heats up. You can also massage a samll amount over your arms and legs to blend away any obvious marks or bruises. A great product to have as we start to wear less clothes. This concealer is bloody expensive but it is a product we have been using to fight the grey so we wanted to include it. It mixes skincare and makeup to create a light-medium cover liquid concealer which, through the peach undertones, it brightens and tones dark circles. It contains botanical extracts which act upon puffiness and fatigue. A mix of cream and powder metallic finish highlighter. Can be used over the eyes as an eye shadow or on the high points of the face for a glossy finish highlight. What are your favourite products for a fresh skin ready for Spring? As soon as Valentines is over the shops begin to stock Easter eggs. It's the next big event for the stores to focus on. That's like 2 whole months of torture as we walk down aisles of chocolate eggs! If you're not into chocolate or are trying not to over indulge then check out these chocolatebased products as an alternative. We reviewed this a couple of years back on the blog. 16 shades infused with the delicious scent of 100% cocoa. Gorgeous selection of warming browns coppers and royal purple in a mix of matte and metallic finishes. A trio of carrots to hold under your running bath water. Your bath will be left bubbly and scented with lemon and grapefruit. 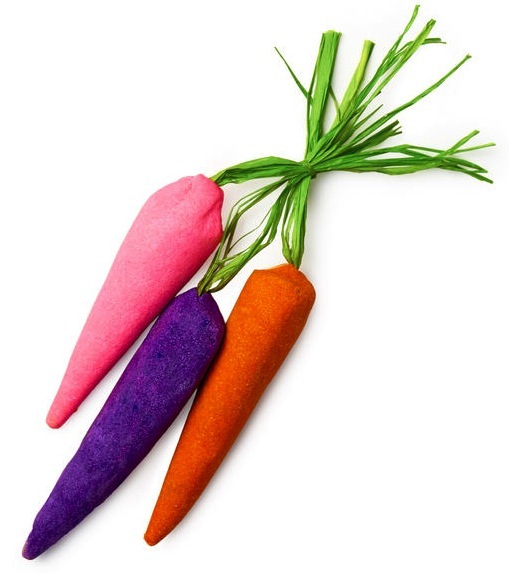 You can use these carrots multiple times too. Oil free body moisturiser to use after tanning (or whenever you like if you are not a fake tan user). The moisturising properties will help prolong the life of your tan. 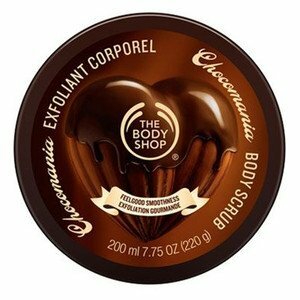 It's scented with Tahitian Gardenia and cocoa for a sweet smelling all over body moisturisation. Gritty body scrub using cane sugar and cocoa butter with a soft chocolate aroma. You kinda have to stop yourself from licking it! 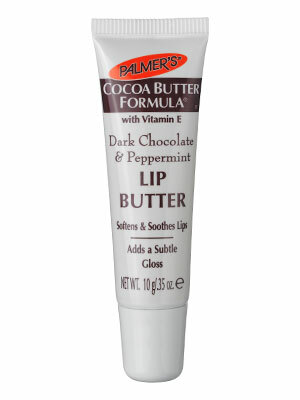 Vitamin E rich lip butter with a minty choc scent. This will suppress any chocolate cravings for a little while! Maybe we will just use these whilst lying in the bath eating chocolate anyway! Quick and easy twist-up chunky sticks to add a highlight to the skin. Three colour options depending on your natural skin type. Glow all out provides a moon lit highlight on the skin. This highlight is infused with a fine silver glitter and looks best on a lighter skin tone. It's quite an obvious highlight rather than a subtle radiance so good for people who like a stronger makeup look. Wonderbronze is a peach bronzing highlight with delicate gold shimmers. Beautiful on a medium to darker skin tones. Love at first blush is a rose gold highlight. Great on a darker skin as a highlighter or as a blush for a lighter skin. Even though these are cream highlighters they don't feel greasy or tacky on the skin. They have a dryer texture and are not the easiest to blend. We found that you need to work them into the skin quickly or spritz over a facial mist to moisten and then blend out into the skin. These look better in the evening under artificial light rather than natural sunlight. The name is highlight and sculpt however the bronzer is very warm toned so not the best for sculpting. Available now here for £8.00 each. We have featured Koh Gen Do products before in some of our tutorials, check it out here .. The latest product from the Japanese brand which we are loving is their Maifanshi liquid treatment concealer. Koh Gen Do is a brand which combines high quality skin care and makeup. The makeup collection evolved from the skincare range and this is so apparent when you begin to use them. The Maifanshi treatment concealer is a pen style applicator which delivers the lightweight liquid concealer through the brush head. Be patient when you are first twisting the base as it takes a good 30 seconds of twisting before the product appears at the tip. This product will conceal but also give radiance. It can be used on dark circles, pigmentation or blemishes. Apply a thin layer and then either pat in with your finger or use a fluffy brush to blend. It literally transforms the skin into smooth silk. The formula combines moisturising botanical ingredients such as jojoba seed oil, olive squalane and shea butter. It blends into the skin seamlessly and works amazingly well on dry skin. If you are a big skin picker (naughty!) and are often left with dry blemishes which have formed a scab then this blends in really well and doesn't cake around the dry area. The only downside is that it's only available in 2 shades, both of which are very light (for the Japanese market). Both shades are peach based so they colour correct a greying under eye superbly. The silk finish doesn't sit in fine lines or pores and conceals without looking like you are wearing anything on your skin. The brand is not yet available in the UK although it is available here and they will ship internationally. This concealer is $48.00 (around £34.00). Our skin is exposed to environmental aggressors daily. Pollution, fumes, smoke all cling to the skin causing it to appear dull. As soon as we get on the train after a long day in London we instantly grab a pack of face wipes to get the grime off of our skin. It's totally gross how much dirt can be removed. If this is something you experience or if you live in a city and fancy a bit of extra skin protection then check out this latest spritz from REN. It's a defence mist which can be spritzed onto bare skin or on top of your makeup. It provides an invisible protective layer over the skin surface whilst strengthening the skins natural defence. There is no SPF in this so you still need to consider that but it will prevent the urban grime from settling onto the skin and prohibit the grey tone settling into your skin. Water based spray with the following extracts..
Undaria Pinntifida-Japanese seaweed which is anti-inflammatory and immune stimulating. Biosaccharide Gum-Soothing ingredient which binds water to the skin creating a moisture film on the skin. Alfa-Glucan-yeast bio-fermentation which detoxifies and promotes cell longevity. A really lovely finishing spray for the skin. Smells clean and fresh and instantly revives the skin. Lovely to spritz over before makeup application or to use on the face at midday to pep up a drying or caked base. I like any product which benefits both the look of my makeup and the health of my skin. Doesn't feel heavy or tacky and doesn't affect how your skin photographs (no flashback). The 60ml size makes it a great travel friendly product. Pop it into your hand luggage or handbag and spritz over to soothe a stressed skin and lift the grey away. Suitable for all skin, even sensitive. This 60ml spray is £24 and available from April, here. We recently saw these mirrors online and immediately had to get our hands on them to review. 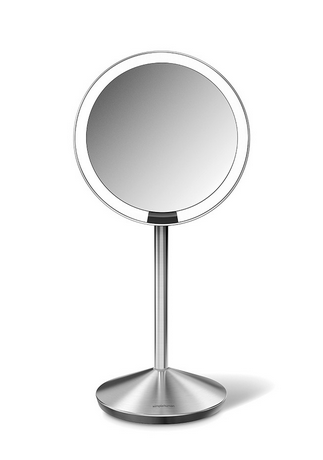 Simple Human mirrors are THE most amazing magnifying mirrors and there are various styles depending on your needs. The mini sensor mirror is probably our favourite mirror. It has a x10 magnification and is completely portable. The base and the mirror fold inwards allowing the mirror to fold away into a zipped protective travel case. It charges with a standard USB cable (one included) and the charge lasts up to 5 weeks. I have taken the images from the Simple Human website as it's virtually impossible to take a good photograph of a mirror!! 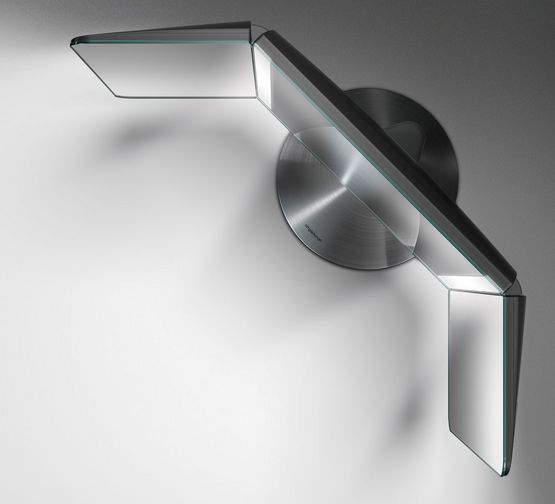 The mirror has a strip around the edge which lights up via a sensor. The light bulbs are tru-lux lights which simulate natural sunlight. These bulbs are rated to last for 40'000 hours (that's an hour a day for 100 years!). Be warned..the magnifying quality is so amazing that you notice every single flaw or hair on your face. Great for applying detailed makeup or while tweezing. Not great if you are a big skin picker, you will literally destroy your skin by picking at it! Perfect if your eye sight is poor or if you normally apply your makeup in dim lighting. Amazing for travelling with as hotel lighting is often so rubbish. The light is on a sensor so will automatically light up as you look into it. It will switch off after you have moved away from it. The mirror head is also rotational so you can angle it to where you need it to be. None of these mirrors are cheap, as you would expect from such quality. This mirror is £99.00. It also comes in x1, x5 and x7 maginification if the x10 is a little too strong for you. 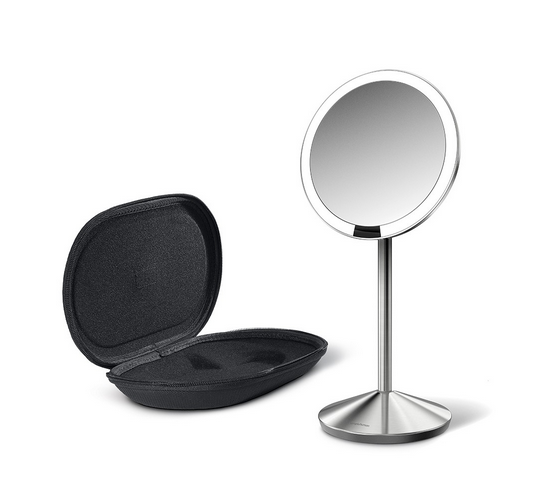 If you prefer something a little more stationary for your dressing table then they also have a large wide view mirror. This is a x1 magnification and works with the same sensor technology and lighting as the portable mirror. This mirror has two lighting strips which run down either side of the central mirror. 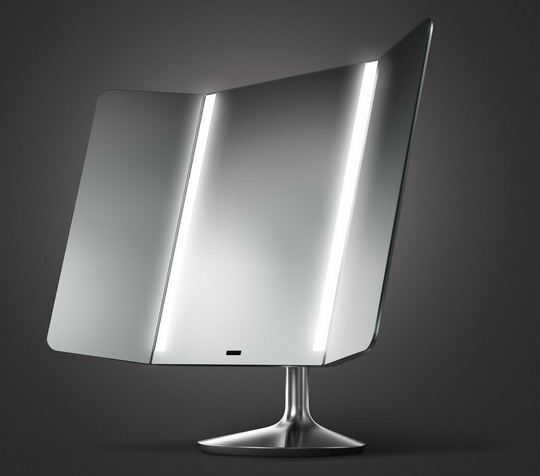 The angle of the mirror allows you to view all sides of your face at any angle. The USP for this mirror is that it is app enabled. By downloading the Simple Human app you can mimic the lighting of your favourite restaurant or bar and then use the app to adjust the lighting of your mirror. When you are next in your chosen restaurant take a photograph of your face. The lighting balance will be saved to the app and then once you are home you can link to your mirror and it will dim or brighten to the same lighting. Next time you are visiting the restaurant you can apply your makeup safe in the knowledge that it will look fab in the lighting there!! How amazing is that! This mirror even has an alarm system so it will gently flash on and off to warn you that you need to put down the liquid liner and get a move on before you're late for work!! The wide view sensor mirror is £299.99. Check out the range of Simple Human mirrors here. If you love splashing out on designer goods then you probably already know about Net-A-Porter. You can shop all of the worlds biggest designers from the comfort of your arm chair. Check them out here. Just in time for the Summer Net-A-Porter have launched their version of the popular beauty box. The travel kit holds 12 products (mostly mini's)from various premium skin, makeup, nail and hair brands. Post gym, on the beach, whilst travelling..whenever you need a quick skin wipe over and freshen up. Extra nourishing shampoo which is especially beneficial for damaged and split long hair. Facial in a sachet which smoothes, tightens and gives the skin a shot of hydration. Deep cherry velvety red liquid lipstick which coats the lips in a rich matte lipstick. Use in conjunction with the marble treatment bar. This lightweight serum brightens and evens a pigmented skin. Clear silicone lip liner which works with any lipstick to define and prevent feathering of your lip shade. Skin spritz with added marshmallow, glycerin and rose to freshen and hydrate whilst balancing the skin. Great for spritzing over after foundation application to help blend and refresh. Cleansing bar to brighten and smooth the skin. Use with the Erno Laszlo serum. Conditioning mascara in black which helps to strengthen weak lashes. Coconut and Jojoba oil to nourish dry cuticles. Anti aging plant based moisturiser to plump and rejuvenate tired skin. Intensive hair mask infused with prickly pear oil and vitamin E to repair and protect without weighing the hair down. This box is limited edition and is £38.00. Available here. Four shades of blush with a split pan of colour. Each compact has two complimentary shades which provide a highlight and a colour. The compact is mirrored and holds a small chunky application brush. Use to colour and contour or to simply use as a blush. 002 is a soft matte peach and the highlighter is a satin pearl. 003 is a matte warm taupe brown with a slightly more satin peach highlighter. 001 is slightly more of a peachy pink with a satin pearl highlight 004 is a richer chocolate brown with warmer peach highlight. Pretty standard blush colours but the USP is that it's a multi use product. Perfect for holidays or to save space in your makeup bag or kit. Available now for £32.00 here. Cream eye shadow sticks are a staple product in our makeup bag. The quickness and versatility they provide makes them an essential part of our day and evening looks. Blend a sheer wash over the lid for an instant hit of colour or use as a base under your eye shadow to add extra intensity to the powder shadow. So easy you can blend with your finger or use a soft blending brush to move the product over the lid. Here are some of our top picks in budget and high end brands. Waterproof, soft pigment, metallic shimmer finish. Waterproof, really long lasting, mix of matte and satin finish. Intense pigment, metallic finish. Very soft on application but quick drying. Skin soothing ingredients of green tea and camellia. Tapered nib enables precision application. Smooth texture, metallic finish. Huge colour selection, opaque finish and intense shimmer. Water infused cream shadow, very soft texture making product easy to build up. Fluid creamy and vibrant colour pigment. Dryer formula which doesn't crease as much. Soft pigment colour. Includes pencil sharpener, strong colour pigment, full cover. Controlable cream with extreme pigment payoff. Softly rounded nib makes it better blended over the whole lid. Which cream sticks are you using? Sometimes we spend so much time talking about all the amazing brands out there that we forget to talk about our own! As you know we are a little brow obsessed so it made sense for us to develop a kit which enables you to create the perfect brow with ease. 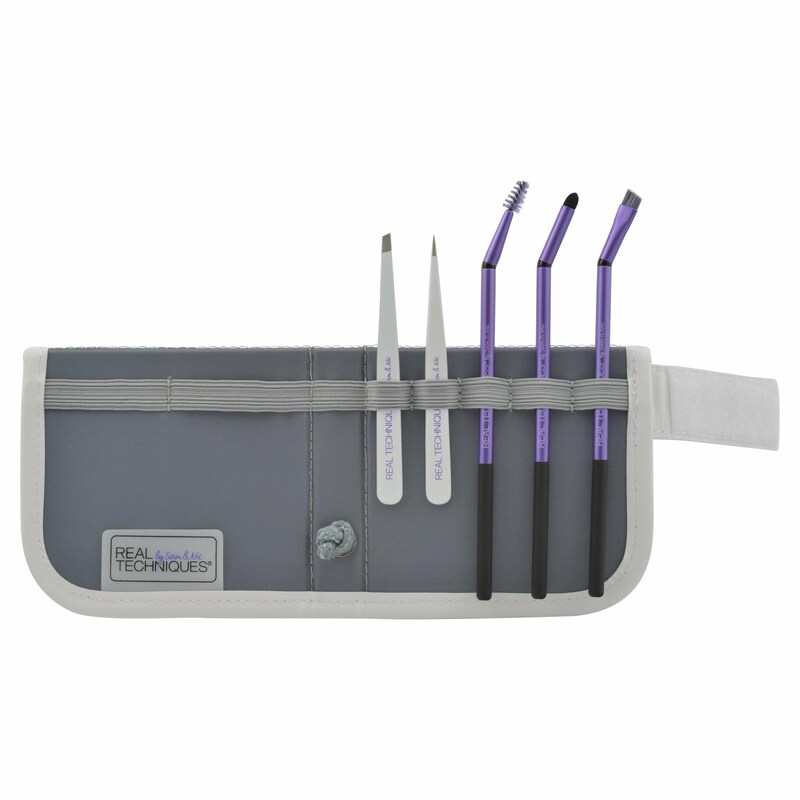 In the brow kit there are 3 brushes and 2 sets of tweezers all held neatly inside the sleek grey panoramic case. So why have two styles of tweezer? We all have a preference to the type of tweezer tip we like to use and both styles also have different benefits. The angled tweezers allow you to shape the brows and also aid removal of the fine downy hairs which are hard to see and grip. Having the larger surface area of this tweezer tip will let you grip onto fine hairs and coarser longer hairs. The fine tip tweezer is great when you need to pick out individual hairs or when precisely shaping. The brow spoolie brush is a necessity when shaping the brows. Use the spoolie to brush the hairs upwards to reveal the natural brow line. It's also a great tool to use after you have applied brow colour. Giving your brows a soft brush through with this at the end will soften product and help blend it in for a more natural appearance. The slanted arch definer brush is perfect for applying bulk product through the brow. The soft rounded nip applies colour onto the hairs whilst blending it at the same time. The slanted brow brush is the ultimate brow tool to have. You can flick in natural hair like strokes with the pointed tip or use the flat edge to add strong definition. The panoramic case holds all of your tools and stands up so that you can access the brushes easily. The case will also keep your brushes safe and protected and enables you to slip it into your bag when transporting. You can get hold of this kit here and the website will also let you know about shipping and convert the currency into your country for you. The kit is $20.00 or £14.13 (at current conversion rate).